Starbucks Corporation’s organizational culture is one of the most distinct characteristics of the firm. A company’s organizational or corporate culture widely influences employees and business performance through values, customs, traditions, and related behavioral expectations in the business organization’s context. In Starbucks Coffee’s case, the organizational culture permeates all aspects of the business, including the operations of franchisees and licensees. However, company-owned stores are where Starbucks Coffee’s organizational culture is most easily observable. The way café employees work with each other and how they interact with customers are indicators of the company’s corporate culture. The warm and friendly ambiance in these coffee shops is part of the company’s cultural distinction from competitors, which include Dunkin’ Donuts and McDonald’s McCafé. Starbucks has an organizational culture that relates with the company’s strategies for successful brand development and the global growth of the franchise and licensing network, despite challenges tied to economic fluctuations and industry-specific trends. Starbucks Coffee’s organizational culture is a key success factor in the business, considering that the company sells not just its coffee and other food and beverage products, but also the experience of buying and consuming these products. In this way, the firm uses its corporate culture as a distinction in the coffeehouse chain market. Starbucks Coffee’s corporate structure enables optimal application and observance of this culture throughout the business and its subsidiaries, such as Ethos Water, Seattle’s Best Coffee, and Teavana, despite differential managerial approaches used among franchisee and licensee locations. Servant Leadership. Starbucks Corporation has a servant leadership approach, which characterizes the behavioral manifestation of the company’s organizational culture among leaders, including corporate leaders and team leaders. In this approach, leaders, managers and supervisors emphasize support for subordinates to ensure that every employee grows in the company. This feature of Starbucks’ corporate culture translates to the employees-first approach. The company highlights the importance of caring for employees as a way of optimizing employee morale and customer satisfaction. Former Starbucks President Howard Behar developed this feature of the firm’s organizational culture because he believed that employees who are cared for are the ones who care about customers. Relationship-driven Approach. Starbucks also has an organizational culture that supports warm and friendly relationships. For instance, at the company’s cafés, baristas exhibit warm and friendly bonds with each other. This feature of the company’s corporate culture extends to customers, who are also treated with warmth. Through this cultural emphasis on relationships, Starbucks develops the global coffee culture that drives consumer demand for the company’s specialty coffee products. Collaboration and Communication. The corporate culture of Starbucks encourages collaborative efforts through effective communication. At the cafés, baristas clearly communicate with each other to fulfill orders. Also, they collaborate as teams to make the order fulfillment process efficient. Thus, Starbucks Corporation’s organizational culture supports efficiency in business processes, which contributes to quality of service, positive customer experience, and business cost-effectiveness. Openness. Openness is another major characteristic of Starbucks Coffee’s organizational culture. In the company’s early years, employees had a traditional and old-fashioned culture of fear in speaking up to their superiors. To address this issue, former President Behar introduced open forums to encourage employees to ask questions and communicate with superiors. A culture of openness developed as a result. Through this cultural feature, Starbucks empowers employees and facilitates innovation in product development and service provision. Inclusion and Diversity. Starbucks has an anti-discrimination policy that shapes its organizational culture. This policy prohibits any form of discrimination based on gender, race, ethnicity, sexual orientation, religion, age, cultural backgrounds, life experiences, thoughts, and ideas. Through this feature of the corporate culture, Starbucks facilitates information sharing and positive rapport among employees, as well as innovation based on diverse ideas. This cultural facilitation supports employee motivation and helps minimize turnover. This aspect of the company’s organizational culture also makes customers feel welcome at Starbucks cafés. Starbucks has gone through significant changes in its organizational culture. These changes are based on issues and problems leaders like Howard Schultz and Howard Behar identified, especially in the early years of the specialty coffeehouse chain business. 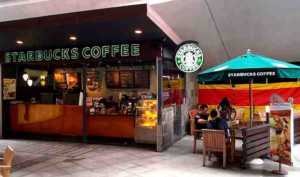 As a way of enhancing business performance, Starbucks instituted reforms in its corporate culture. Today, the company’s organizational culture is a distinct characteristic that builds competitive advantage and develops a consumer population of loyal Starbucks fans from which the business derives stable financial performance. The main corporate strategic management challenge lies in the effective implementation of this culture in the human resources of franchisees and licensees, as these business partners arguably have their own approaches to human resource management and associated organizational culture development. Burack, E. H. (1991). Changing the company culture – the role of human resource development. Long Range Planning, 24(1), 88-95. Denison, D. R. (1990). Corporate culture and organizational effectiveness. John Wiley & Sons. Marques, J., Camillo, A. A., & Holt, S. (2015). The Starbucks culture: responsible, radical innovation in an irresponsible, incremental world. In Handbook of Research on Business Ethics and Corporate Responsibilities (pp. 302-312). IGI Global. Starbucks Coffee Company – Diversity and Inclusion. Starbucks Coffee Company – Our Culture of Inclusion. Voigt, K. I., Buliga, O., & Michl, K. (2017). Globalizing Coffee Culture: The Case of Starbucks. In Business Model Pioneers (pp. 41-53). Springer, Cham.